Campione dei Campioni. Sanremo 2016 has finished after five nights of music and entertainment. 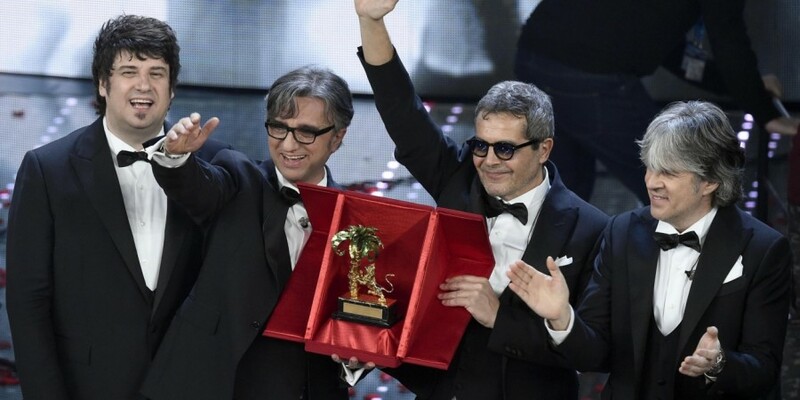 The winner of the 66th Festival of Sanremo's Campioni (Big Artists) is Stadio with the song "Un giorno mi dirai". They have the right to represent Italy at Eurovision Song Contest 2016 in Stockholm, but shortly after their Sanremo-victory, they declined to go to Stockholm. It was later confirmed by the Italian broadcaster RAI, and it's now up to RAI to decide who they are sending to Eurovision 2016. The first show featured ten Big Artists. These ten songs were voted upon by a 50% press jury and a 50% televote. No eliminations. The same voting system was used in the second show, where the other ten Big Artists performed. There were no eliminations during these two shows, and therefore all the twenty songs advanced to the fourth evening - the semi-final. No eliminations. Thursday was the "Covers Night" where each act of the Campioni performed a cover of an Italian song or an international hit translated into Italian. The best cover, as determined by the equal combination of votes from a press jury and a public televote, was awarded a prize. No eliminations. The 20 acts will compete for a place in the Final on Saturday. The voting procedure during the semi-final will be of 40% televote, 30% expert jury and 30% demoscopic poll. The weighted average of the votes from the first and second evenings as well as the votes from the fourth evening will produce a total ranking of all of the songs. The top 15 entries will qualify directly to the final held on Saturday. The bottom five entries from the fourth evening will enter a repechage round (a Second Chance round), and face an additional public televote to determine the one entry that will be readmitted to compete in the final; the other four entries will be eliminated. 16 qualifiers – 4 eliminations. In the final, a total of 16 songs will be competing. The top three will advance to a second round of voting in order to select the winner. The results of both rounds of voting will be determined by a 40% televote, 30% expert jury and 30% demoscopic poll. Last year, Italy achieved 3rd place, and were represented by the group Il Volo with their song "Grande Amore".